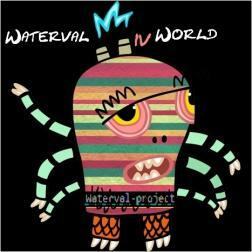 So glad to contribute to the Waterval World ! Some "weird" or "strange" music for some ears but Hey ! that's music :) Thanks for having adopt me ! Thank you Andrea for the always motivating, exciting and always new aspects bringing cooperation. It is nice that Wikiloops groups make this topic-oriented collaboration possible. Very different music! Sphery moods, strange rythms, exceptional ideas... like a painting in transparent colors. Thank you Andrea! Thank you, watervalers!